Over at Business Insider, there’s a short piece on a most unusual resume. Reportedly tired of applying for a job at Airbnb and receiving no answer, a young marketing pro named Nina Mufleh decided to design an online resume that resembles Airbnb’s website. The centerpiece of the resume is Mufleh’s breakdown of why and how Airbnb can break into the Middle Eastern market, particularly Dubai; it includes listings of key regional events, possible partners, and market challenges. The buzz over the resume landed Mufleh an interview with the company. 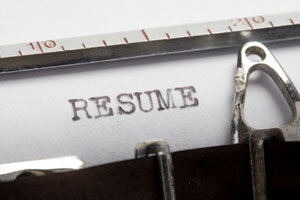 There’s no shortage of creative resumes on the Web, of course. As highlighted by another Business Insider piece, job applicants wanting to stand out from the crowd have made their resumes resemble Amazon product pages and Instagram profiles, rendered their professional experience as flow charts (“Do you need help with marketing? Y/N”), and even shot Vine videos highlighting their skills. Will this sort of creativity work for everybody? Of course not: While an inventive resume will certainly make you stand out from hundreds (or even thousands) of other applicants, what matters most in the end is your experience and skill set. In addition, while a startup or small firm might see itself as hip enough to appreciate a resume and cover letter redone as an e-commerce page, an enterprise might frown on materials that don’t follow a traditional format. For some creative types, though, the risk of a company seeing a resume as a little too creative is worth it, if they can make an HR manager smile and take note.